Solar screens will not affect any portion of your window warranty. Window manufacturers of double pane windows have indicated they may void your window warranty if a window tint or window film is applied. Tint or film can cause excessive heat to build between the panes of glass, and cause the seal between the panes of glass to fail. Solar screens actually benefit the window by shading the window from the outside, which makes solar screens the most effective window treatment on the market today, bar none. 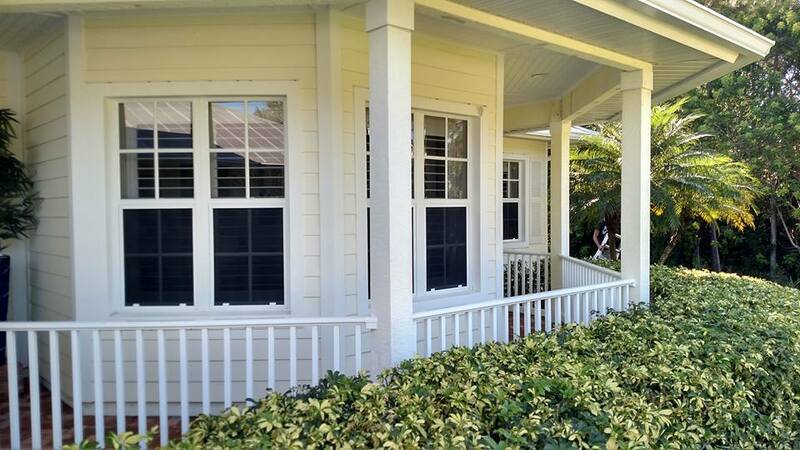 Solar screens also help keep your home warm in the winter by acting as a “thermal blanket” around your windows (much like storm shutters) by keeping most of the cold winter breezes away from the window. Unlike most any other window treatments such as blinds, drapes, shutters, curtains; solar screens do not need to be opened or closed to derive the benefits, they work 24 hours a day, 7 days a week, 365 days a year without ever blocking your view.